Home health health news Natural Remedies ovarian ovarian cancer remedy useful wife woman LOOK: REMOVE OVARIAN CYSTS FAST WITH THESE 12 NATURAL REMEDIES! 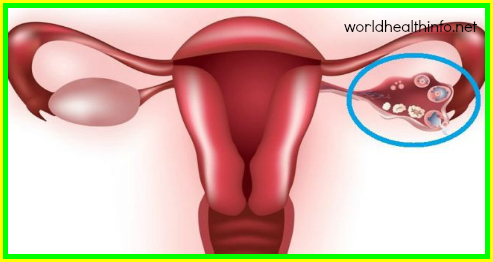 LOOK: REMOVE OVARIAN CYSTS FAST WITH THESE 12 NATURAL REMEDIES! Ovarian cysts are fluid-filled sacs in the ovary that usually form during ovulation. Hormonal problems, endometriosis, pregnancy and pelvic infections can all cause ovarian cysts. While they’re usually harmless, ovarian cysts can cause symptoms such as pressure, bloating, swelling and pain in the lower abdomen. Ovarian cysts commonly disappear on their own within a few months, but during that time, they may cause pain and discomfort. Medicine for pain relief is often prescribed, but if you’re suffering from an ovarian cyst, there are other, more natural ways to treat it. Castor oil clears the body of excess tissues and toxins, while stimulating the lymphatic and circulatory systems to help reduce and dissolve ovarian cysts. Fold a large flannel cloth to make it two or three layers thick. Make sure the folded cloth will cover your entire abdomen. Drizzle about 2 tablespoons of castor oil on the cloth, then fold the cloth in half to saturate it. Unfold the cloth, lay down with an old towel under you, and put the flannel cloth on your abdomen. Cover the castor oil cloth with plastic, then with an old towel. Place a hot water bottle over the towel and cover yourself with a warm blanket. Leave the castor oil pack on for at least 30 minutes, then remove it. Repeat the process about three times a week for three months. Chamomile tea can help relieve the pain and discomfort caused by ovarian cysts. It has a gentle sedative effect to promote relaxation, and it can also help regulate irregular periods by stimulating blood flow in the pelvic area and uterus. Mix 2 teaspoons of dried chamomile in a cup of hot water. Cover and steep for 5 minutes, then strain. Add 1 teaspoon of honey and drink the tea. Drink 2-3 cups a day until the problem subsides. Heat can help to reduce pain and muscle cramps in the abdomen due to ovarian cysts. Put a heating pad or a hot water bottle on your abdomen and lower pelvic area. Let the heat soothe you for at least 15 minutes. Use this remedy for quick relief when you experience pain. Apple cider vinegar can help shrink and dissolve ovarian cysts that are caused by a potassium deficiency, due to its high potassium content. Add 1 tablespoon of apple cider vinegar to a glass of warm water. Add 1 tablespoon of black strap molasses. Drink 1-2 glasses of this solution each day. Use this remedy until the cysts disappear. Beetroot contains a compound called betacyanin, known for boosting the liver’s ability to clear toxins out of the body. The alkaline nature of beetroot also helps balance the acidity in the body, reducing the severity of many symptoms of ovarian cysts. Mix 1/2 cup of freshly extracted beetroot juice with 1 tablespoon of Aloe Vera gel, and 1 tablespoon of blackstrap molasses. Drink this solution once a day before eating breakfast. Use this remedy daily until your symptoms are gone. The high magnesium sulfate content in Epsom salt works as a muscle relaxant that can greatly reduce pain associated with ovarian cysts. Add 1 cup of Epsom salt to a bathtub filled with warm water. Add 5-10 drops of essential oils such as lavender, rose or jasmine. Stir for a few minutes until the salt dissolves, then soak your body for 20-30 minutes. Use this remedy once a day for pain relief. Flaxseed helps balance the ratio of estrogen to progesterone in the body to help reduce cysts. Flaxseeds are also rich in fiber, helping the body eliminate harmful toxins. Mix 1 tablespoon of ground flaxseed into a glass of warm water. Drink this solution daily on an empty stomach until you notice an improvement. Flaxseed can also be added to yogurt, smoothies, soups and salads. Almonds are rich in magnesium, which can help reduce painful cramps associated with ovarian cysts. Eat dry roasted almonds to relieve pain and discomfort. You can also gently massage the abdominal area with almond oil to help ease pain and bloating. Increasing your fluid intake is important when suffering from ovarian cysts. Water can help flush out harmful toxins from your body, reducing pain and alleviating discomfort. Avoid coffee, soda and alcoholic beverages if you are suffering from ovarian cysts. Dandelion is a natural diuretic that can help cleanse the liver, allowing the body to properly flush out excess hormones and toxins that may be causing the cysts. Pick fresh dandelions and separate the root from the stems and flowers. Rinse the root under cool running water and boil 1 quart of water. Chop the dandelion root and add 2 teaspoons to the water,then cover the pan and lower the heat. Simmer the dandelion root in the covered pan for about 1 minute, then remove the pain from the heat and let the dandelion root steep in the covered pan for about 40 minutes. Strain the liquid into a teapot and enjoy. This is a well-known fertility herb that balances the hormone levels in the body. Maca root aids in the production of progesterone and nourishes the endocrine system. Maca is a root vegetable in the radish family. It can be taken safely in small amounts daily. It’s also available in powder form that can be mixed into smoothies or coffee. Ginger is a strong anti-inflammatory that helps to reduce pain by relieving inflammation. Ginger also increases heat in the body and induces menstruation. Blend a 2-inch piece of ginger with 2 celery stalks, 1/2 a glass of apple juice and 3/4 of a glass of pineapple juice. Drink this juice once a day until the cysts are gone, or drink 2-3 cups of ginger tea daily.